Start off your visit on the 23rd (Sat): get outside with Lake Inari and then see the interesting displays at Siida. To see maps, where to stay, other places to visit, and more tourist information, you can read our Inari trip itinerary builder . Edinburgh, UK to Inari is an approximately 14.5-hour flight. You can also drive. The time zone difference moving from Greenwich Mean Time (GMT) to Eastern European Time (EET) is 2 hours. 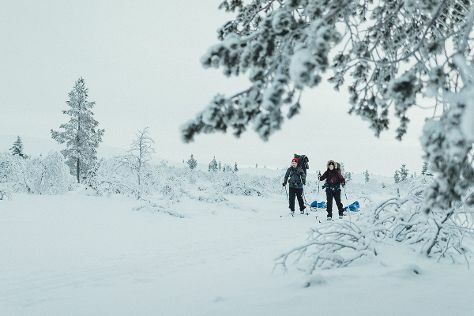 In February, Inari is colder than Edinburgh - with highs of -6°C and lows of -15°C. Finish your sightseeing early on the 23rd (Sat) so you can drive to Saariselka. 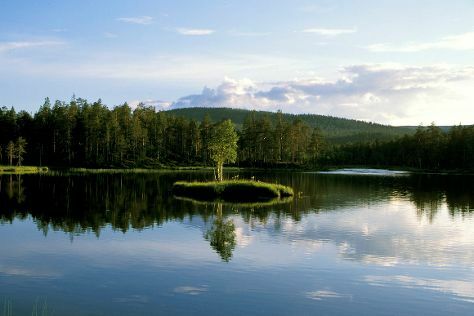 Start off your visit on the 24th (Sun): hike along Urho Kekkonen National Park, then stop by Shamaan Design - Lappi Shop, and then find something for the whole family at Angry Birds Activity Park. Keep things going the next day: fly down the slopes at Saariselka Ski & Sport Resort. To find more things to do, where to stay, reviews, and more tourist information, read our Saariselka visit planning app . Drive from Inari to Saariselka in an hour. Alternatively, you can take a bus. In February, daily temperatures in Saariselka can reach -6°C, while at night they dip to -15°C. Wrap up your sightseeing on the 25th (Mon) to allow time to drive to Rovaniemi. Kick off your visit on the 26th (Tue): take an exotic tour of a safari tour, then get in on the family fun at Santa Claus Village, then have fun at Santa Claus Office, and finally don't miss a visit to Lordi's Square. On the next day, find something for the whole family at SantaPark - the Home Cavern of Santa Claus, take an in-depth tour of Arktikum, and then look for gifts at Your Piece Of Finland. For where to stay, ratings, other places to visit, and more tourist information, use the Rovaniemi online vacation planner . Drive from Saariselka to Rovaniemi in 3.5 hours. Alternatively, you can take a bus. In February, daytime highs in Rovaniemi are -6°C, while nighttime lows are -11°C. Finish your sightseeing early on the 27th (Wed) to allow enough time to travel back home.